She’s not nice! she’s not nice! words cannot describe my joy at Mei Nian not being nice. I thought this drama was going to make her one of the disgustingly nice heroines… thank goodness that’s not happening. From a historical point, its a relief, because no woman ruler got to rule because she was a nice, passive person. Elizabeth the first killed her own cousin and I can point to other significant historical figures, but I’m sure everyone just wants to read about the drama. 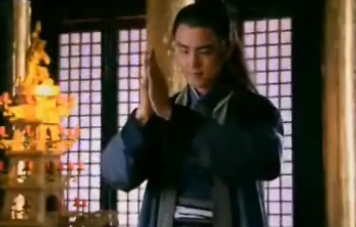 So Mei Niang (whose official title is Zhao Yi Niang Niang) goes to visit the woman in charge of bringing new palace maids in. Mei Niang subtly hints that the woman is doing her job a little too well, bringing all these beautiful women. 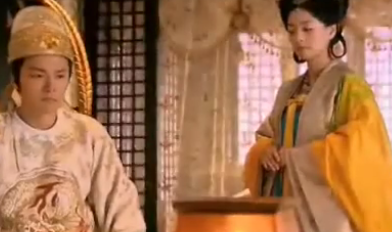 A maid drops an incense burner and Mei Niang uses the maid’s wrong as an example of how a mistake in the palace can get you punished (killed). She orders them to drag the maid out to be beaten. She’s not someone I want to cross. The next day the courtiers are all outside the palace, begging the king (loudly) to release the queen and to re-look into the death of the princess. Here we meet the leader of the courtiers whom the Emperor is trying very hard to ignore. Of course Mei Niang comes and there is a very nice scene of powerplay. She ordains for the king that if the courtiers are still pleading with the King in 10 days time, the Emperor will reopen the case. It’s clear that this woman is very much in charge of her man. 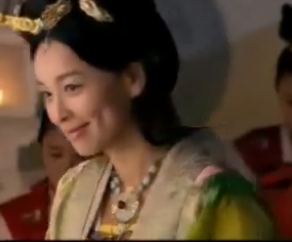 Xing Er (Mickey’s unrequited love girl) is sneaking around the palace. Mickey, being a guard there, finds her and asks her what she is doing. She makes up a story about being terminally ill, and so since she didn’t want to hurt him. She decided to work in the palace. Her supervisors find her and take her away from Mickey. 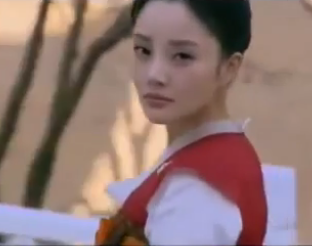 The ladyboss (who Mei Niang and threatened in the first scene) goes and tells Xing Er that she is beautiful enough to compete with Mei Niang for the Emperor’s love. This will ensure that the lady boss have a person she can rely on in the palace. Xing Er runs away. 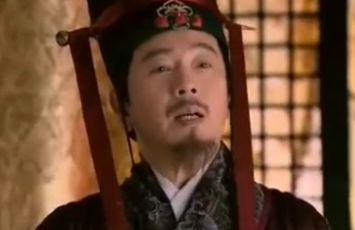 As it turns out, Xing Er is the deposed Queen’s friend. She was rescued by the queen when she was younger and now she actually entered the palace to clear the Queen’s name . Okay, not a bad second episode. Not good. But not bad. 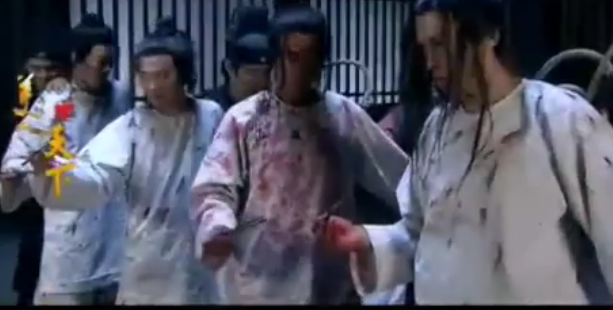 I’m only watching this because Ming Dao is a weak spot and I think/hope that the story will get better after a while. THANK GOODNESS we don’t have another Du Yun Xi on our hands. Mei Niang is ruthless and she knows what she wants. She’s everything that you’d hopeful in a anti-heroine. Now I’m interested in how she will make history.